To some I may be beginning to sound like a broken record, always talking about the importance of using local languages. I feel like a broken record. But the reason I continue to talk about this is because many Australian personnel and agencies have so much trouble really absorbing the importance of starting with local languages. Most Australians never learn to speak a second language so do not experience the difficulties of working with foreign languages. So lets say it as simply as possible. If a hearer does not understand well the language being used then ZERO meaning or information may be being conveyed. This means there may be no education, or no communication occurring when not using local languages. How can this be? Let me break down the process. Everyone thinks, dreams and understands in the language/s that they grew up with or with which they are most familiar. Nothing anyone can do can make a person understand what is being said to them when a new or foreign language is used. This is because words are just sounds, they do not actually carry a meaning. Meaning is found in the ability to decode (interpret) the sound in the hearer’s brain into a concept that is similar to the meaning expressed by the speaker. A person always understands a new word from a new language by translating the new sounds they have learnt into words and concepts from their native language/s. Thus, almost all the intellectual power of people to communicate, and obtain new information, is found in the way their brain uses their native language/s. To access that power, in order to teach or communicate information clearly, one must access the language encoded in the person’s head. If we use a new or unfamiliar language to communicate we rely solely on the hearers ability to first decode or interpret the new sounds of the language being used, and then to comprehend it with a meaning similar to that expressed by the communicator. If the hearer does not know some of the new words, the meaning may be lost or different to that intended. If the hearer’s interpretation of these sounds is different to the communicator’s then to the hearer the words will have little information, the incorrect information, or be completely meaningless. Furthermore, if the communicator cannot access the native language, their ability to check that the information being provided is being understood negligible. Use their local language, recognising that dialogue will be required to ensure communication is being understood. 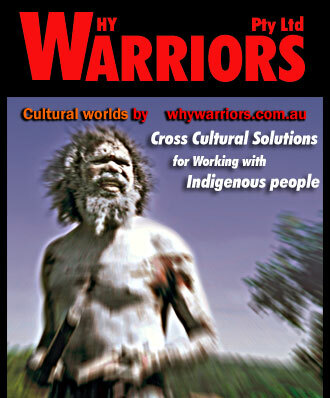 The first option forces the Indigenous person to be the learner and interpreter. The English speaking communicator is dependent on the Indigenous persons ability in English in order to achieve understanding. If the Indigenous person has limited knowledge of English or is just learning, it is not possible to know how a new English speaker understands intangible English words, with out knowing their native language to check that their understanding is correct in the first place. So while it seems the easier option for the english communicator, it is near impossible to be effective in english only. Furthermore Option 1 limits communication to the number of English words the hearer understands. The second option is difficult for the communicator, but very possible and rewarding as the communicator grows in effectiveness over time. Option 2 allows the communicator to become a translator (if even a poor one) who can be a source of information for Indigenous people to learn new English words and concepts with greater ease and accuracy.